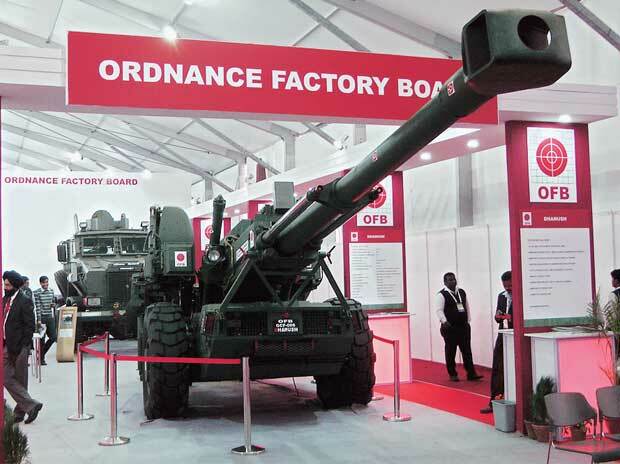 The Ordnance Factory Board (OFB) has received clearance from the Indian Army and the Ministry of Defence for production of 114 'Dhanush' long range artillery guns, an official said Tuesday. The gun is equipped with inertial navigation-based sighting system, auto-laying facility, on-board ballistic computation and an advanced day and night direct firing system, an OFB statement said. The self-propulsion unit allows the gun to negotiate and deploy itself in mountainous terrains with ease. 'Dhanush' has also been electronically upgraded to enhance firing accuracies, laying speeds of the existing gun and to provide compatibility with various kinds of ammunition as well, it said. Stating that the performance of 'Dhanush' has been evaluated under arduous conditions in several phases, the OFB said the guns travelled extensively in towed and self-propelled mode in all terrains, including desert and high altitude, with each gun clocking over 1,600 km. Such an extensive exercise was carried out by the user for the first time for any gun system under the process of induction, the OFB said. DRDO, DGQA, Defence PSUs such as BEL and PSUs including SAIL and several private sector enterprises also contributed to the development of the artillery gun, it said.